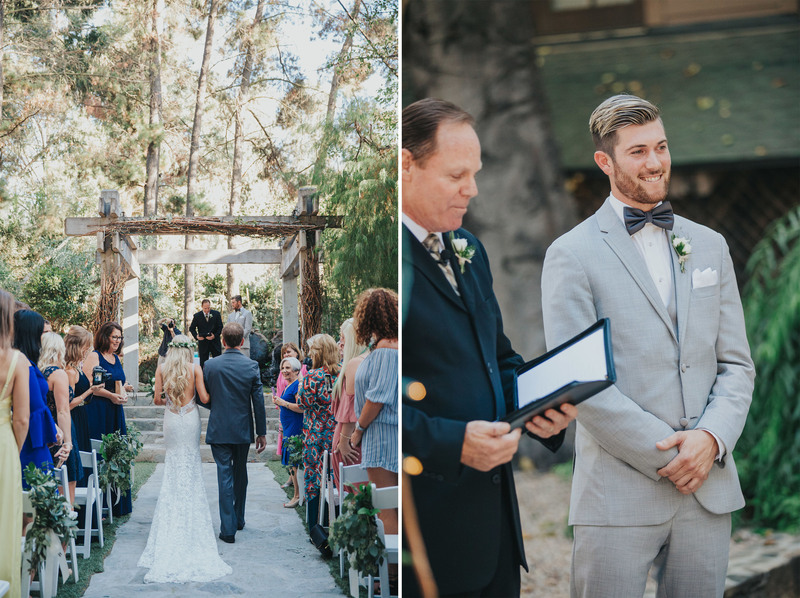 Are you looking for a venue for your dream wedding day? 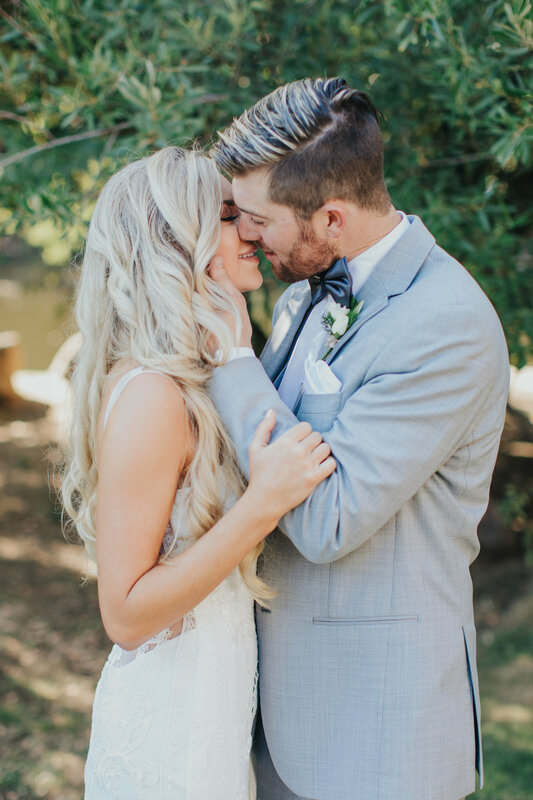 If so, we know just the place to bring that dream to reality! 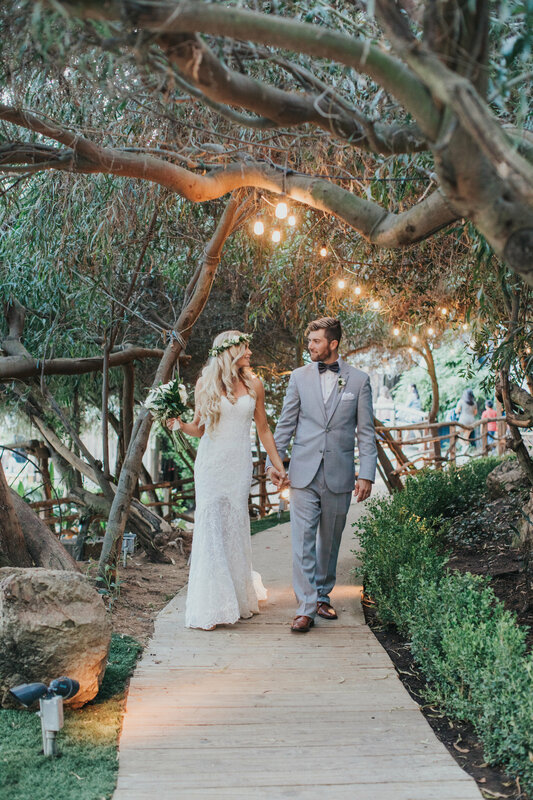 Calamigos Ranch in Malibu, California has several different unique locations across their grounds to fit any wedding style. 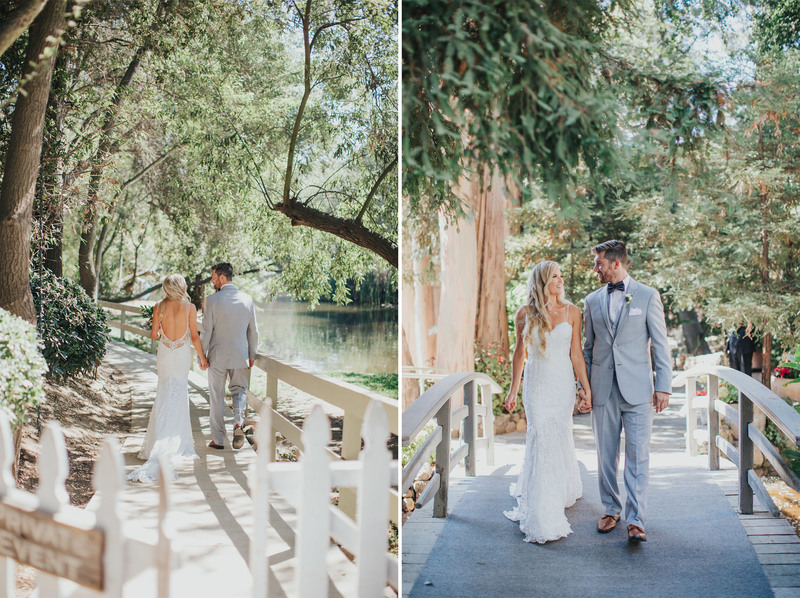 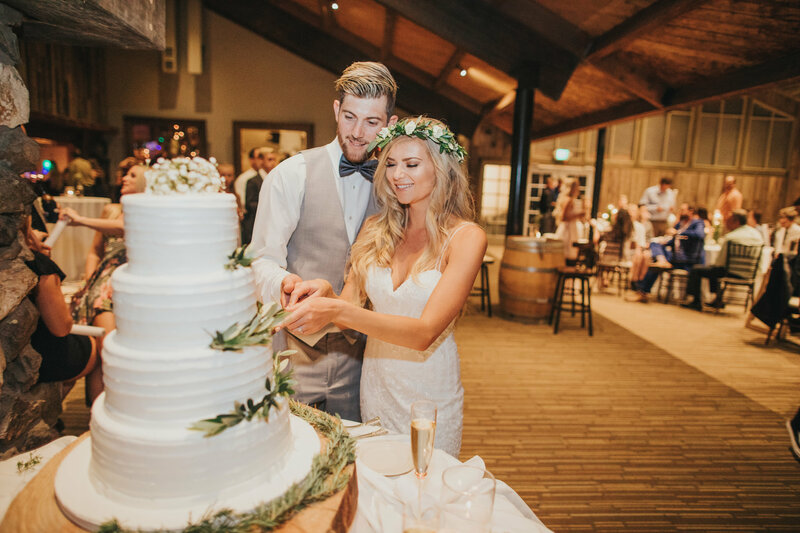 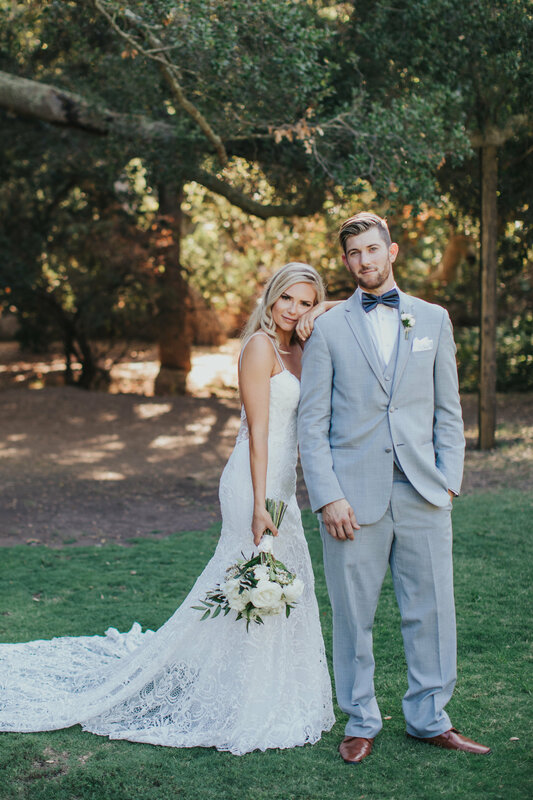 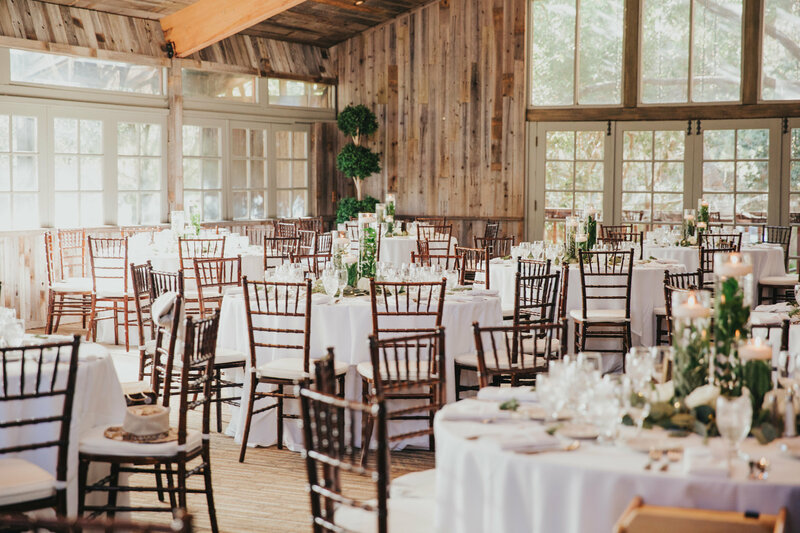 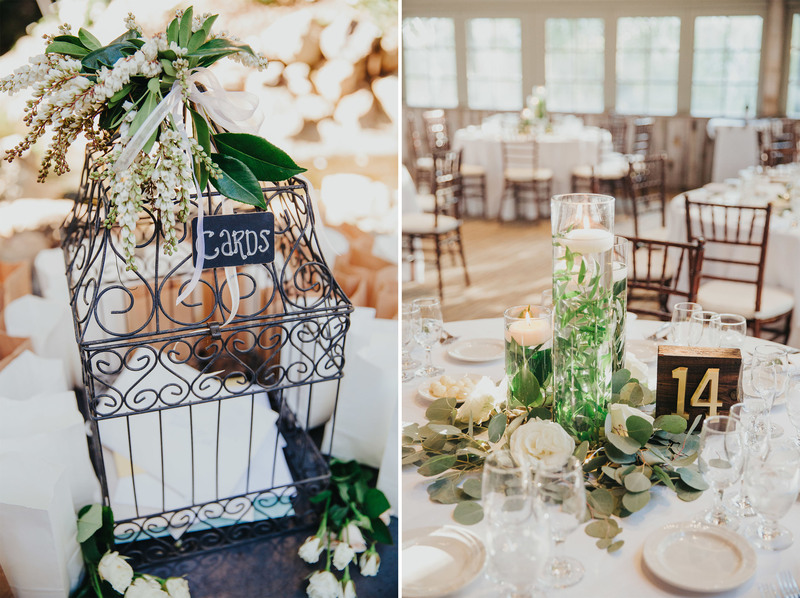 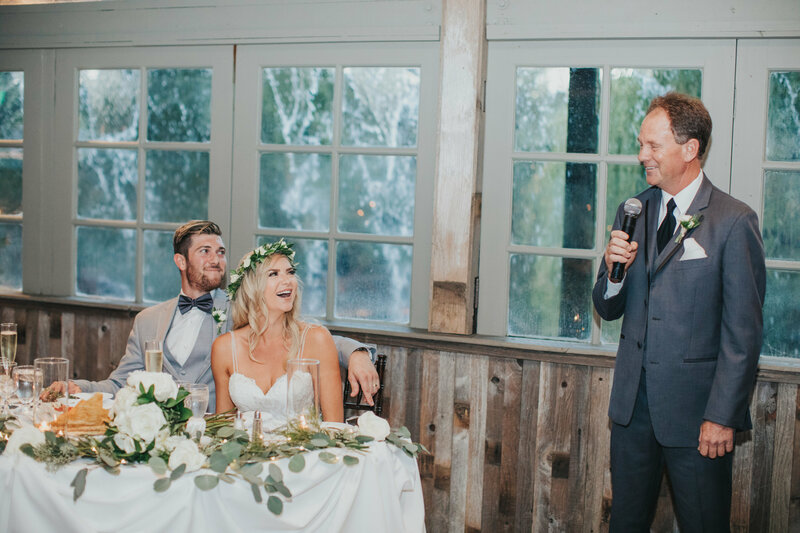 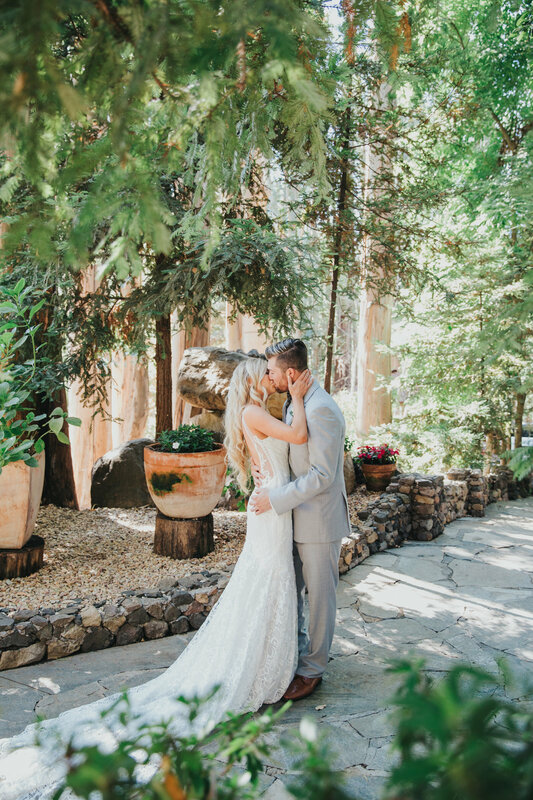 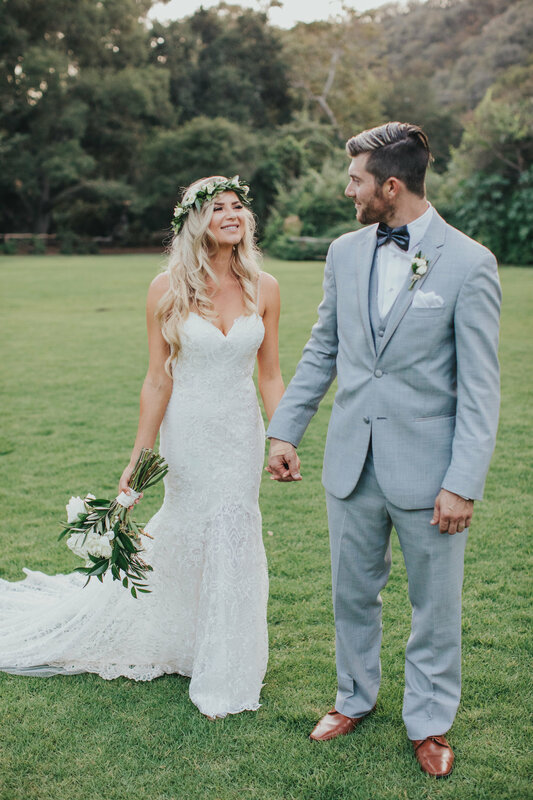 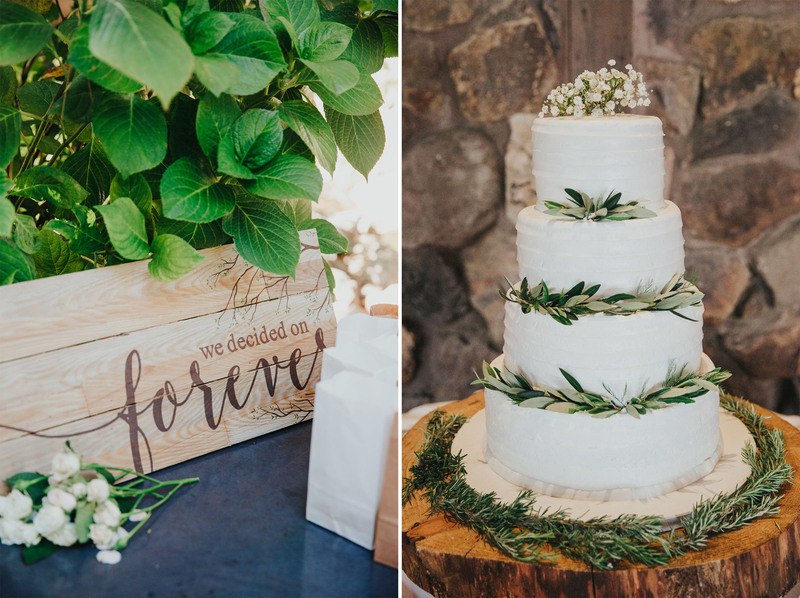 Jessica and Chris opted for a rustic vibe at the most historic site on Calamigos Ranch – The Redwood Room. 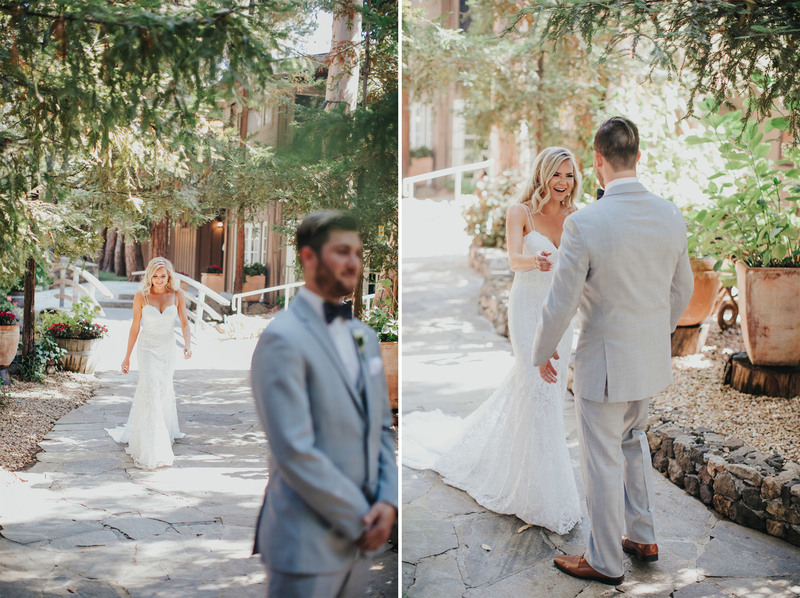 The oak trees and flagstone pathways certainly made for a beautiful setting for their first look before the ceremony. 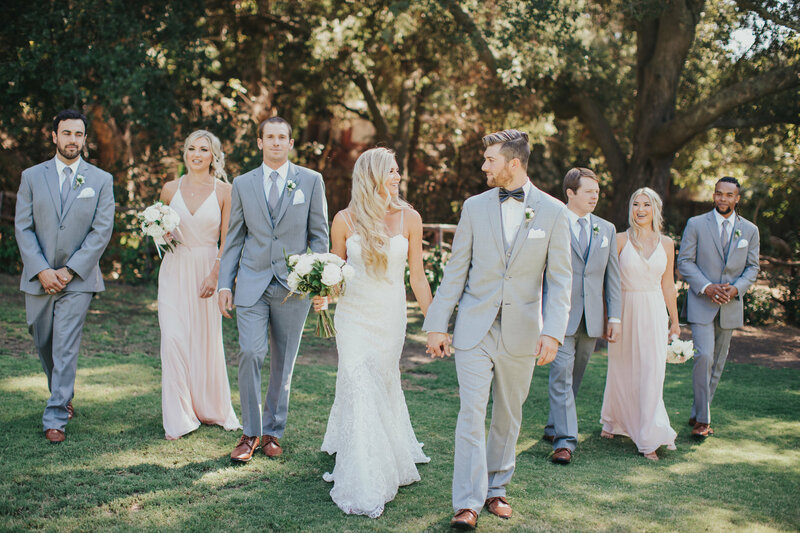 The bride chose a stunning sweetheart neck gown with a deep dipped back. 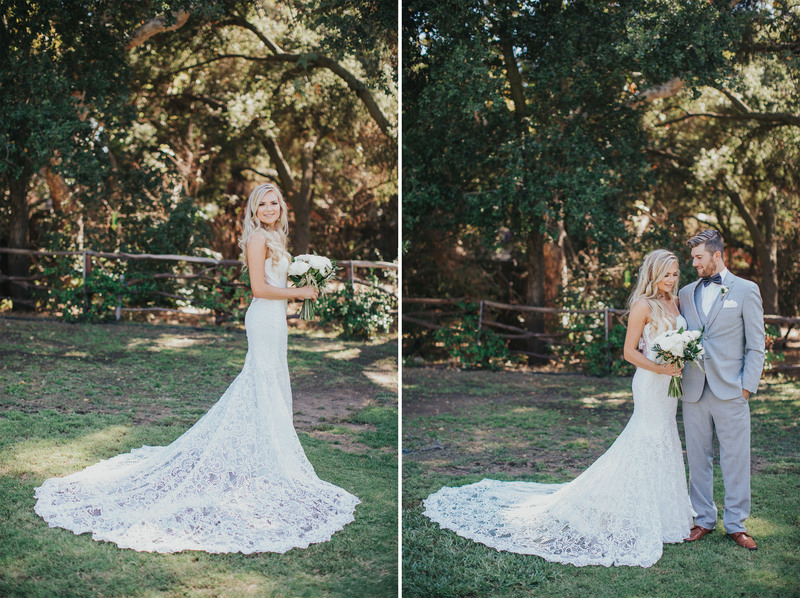 Jessica’s dress was detailed with delicate lace and beading at the bodice. 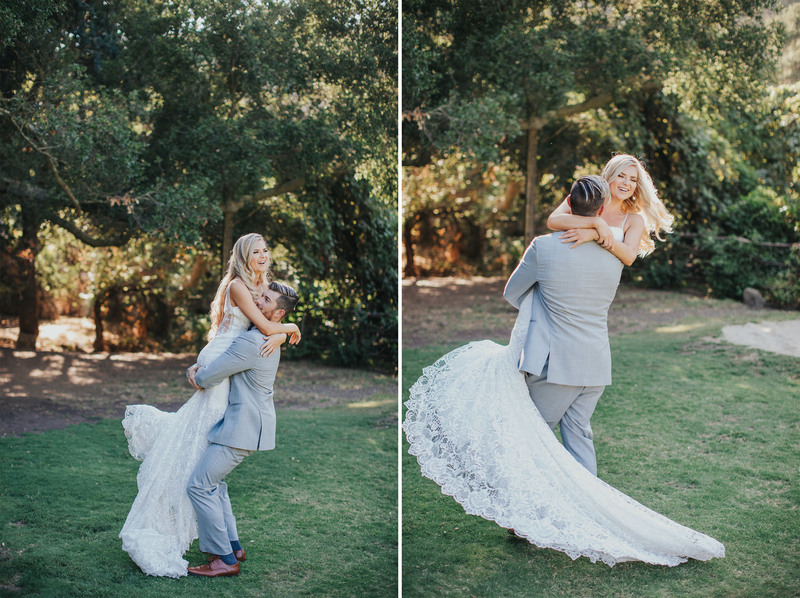 Also, trailing down the skirt and onto her floor-sweeping train. 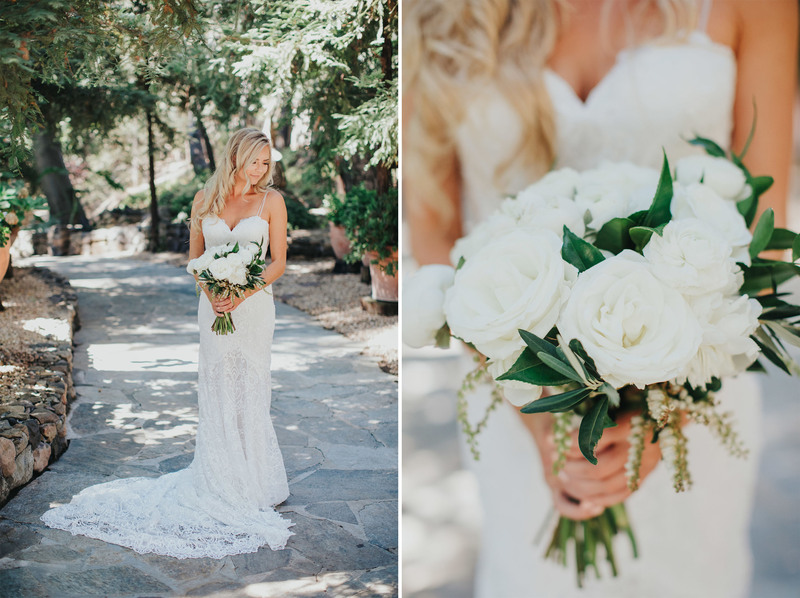 This romantic and contemporary dress created a fairy-tale inspired image as Jessica walked down the aisle. 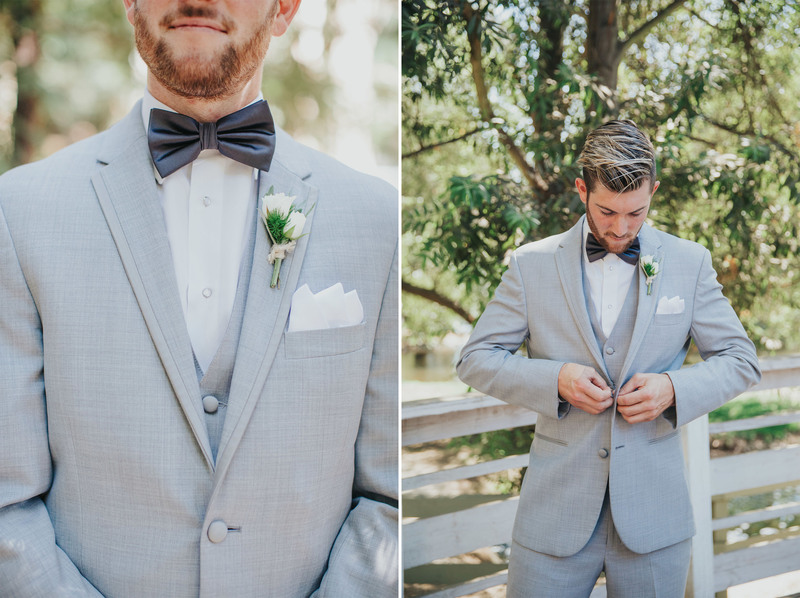 On the other hand, Chris dressed in a light grey suit with a navy blue bow-tie. 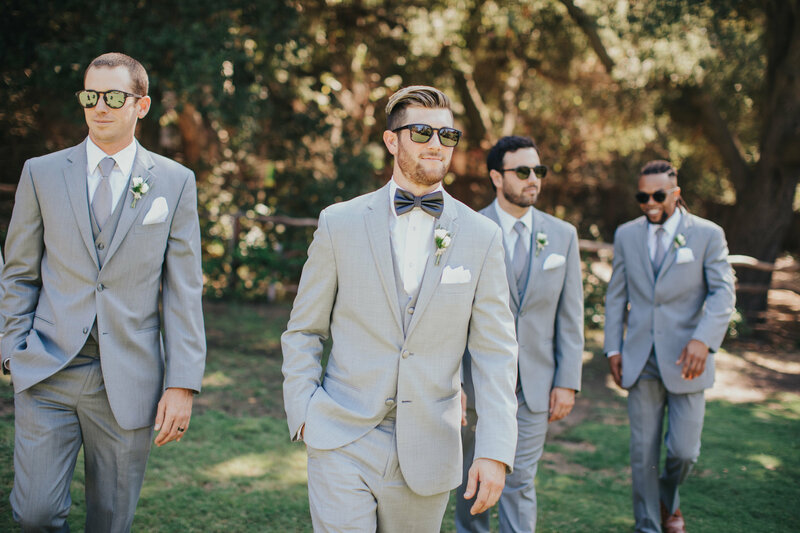 Meanwhile, the groomsmen matched their grey suits with a silk grey tie. 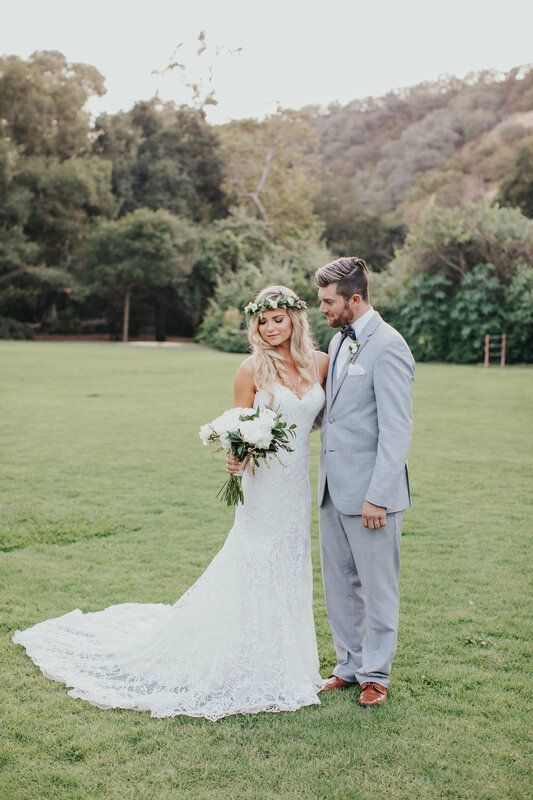 With that being said, it’s time to say I Do! 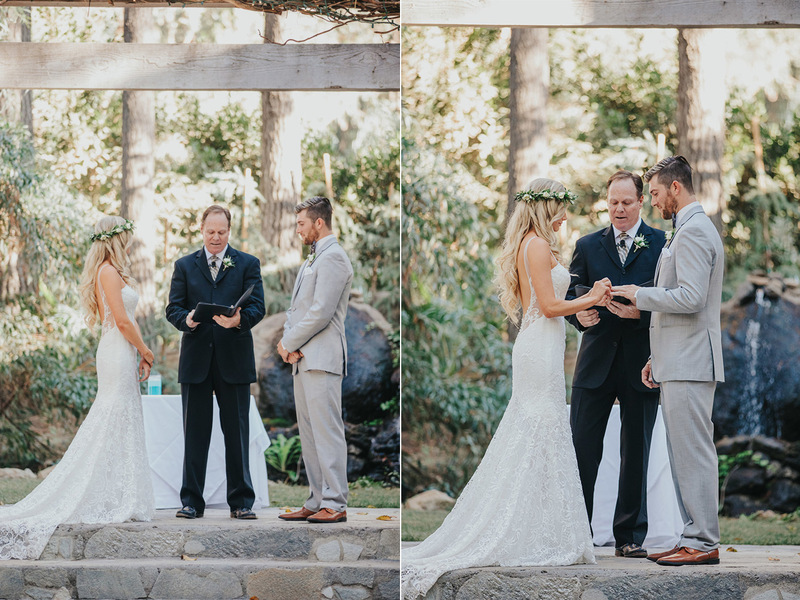 The ceremony lawn at Calamigos Ranch is surrounded by redwoods and eucalyptus trees, which created a breathtaking backdrop. 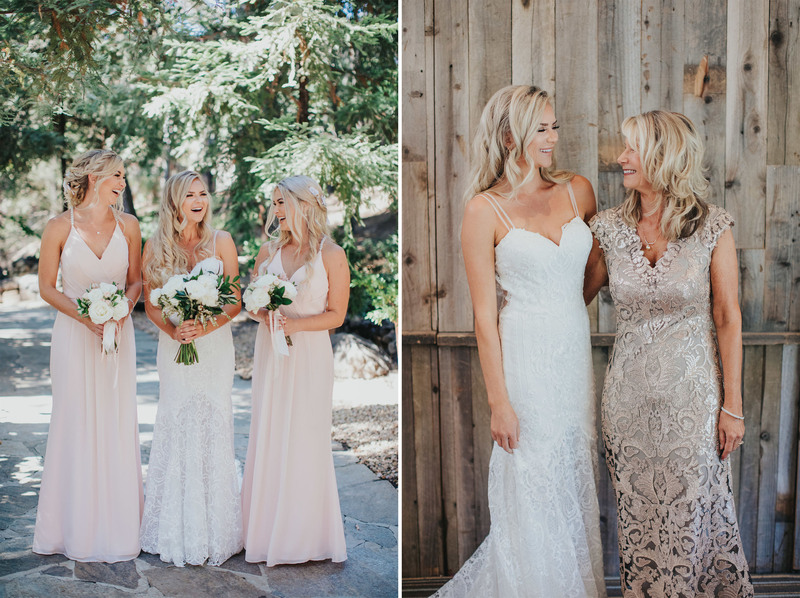 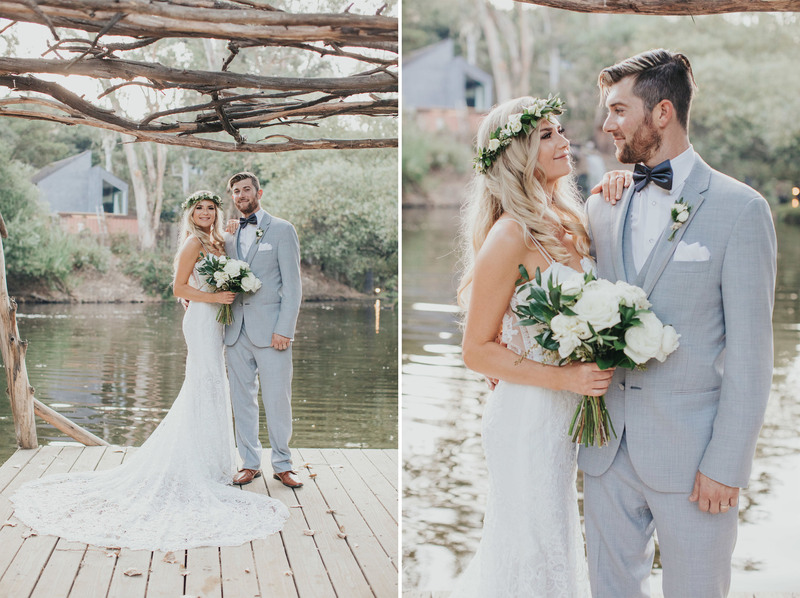 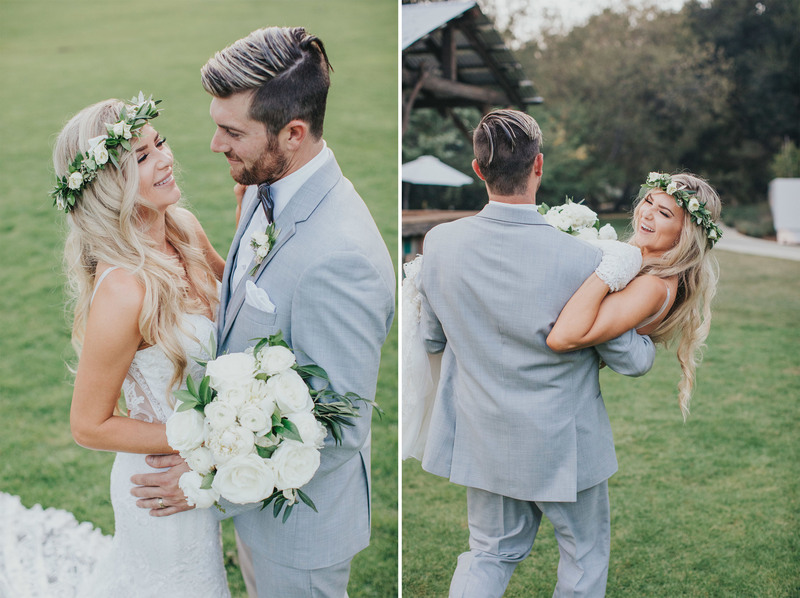 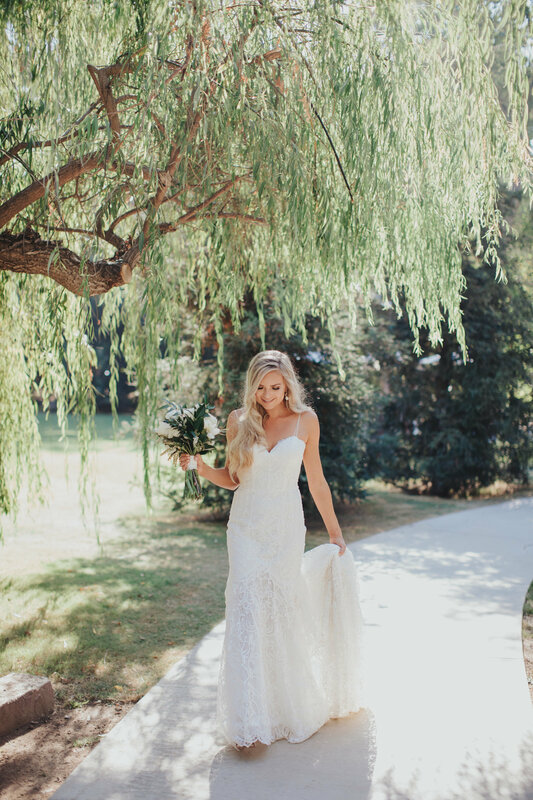 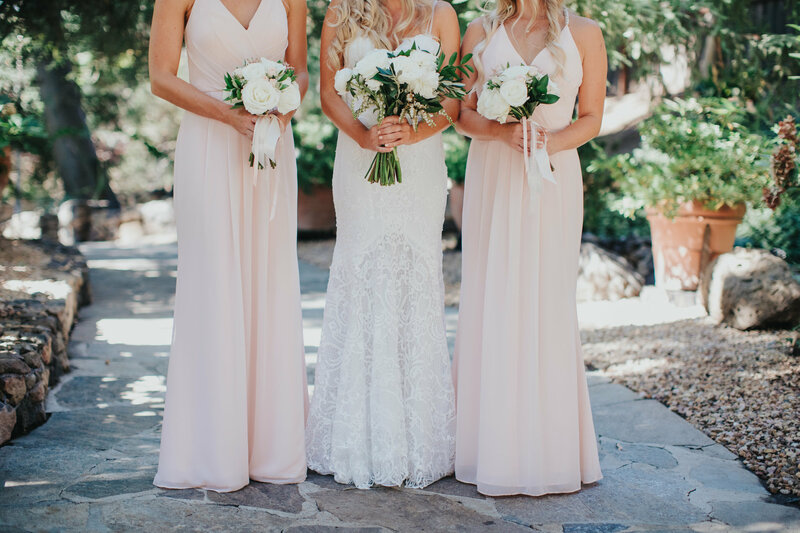 Jessica’s bridesmaids walked down the aisle in delicate light pink dresses, while holding white rose floral bouquets detailed with eucalyptus that matched the trees. 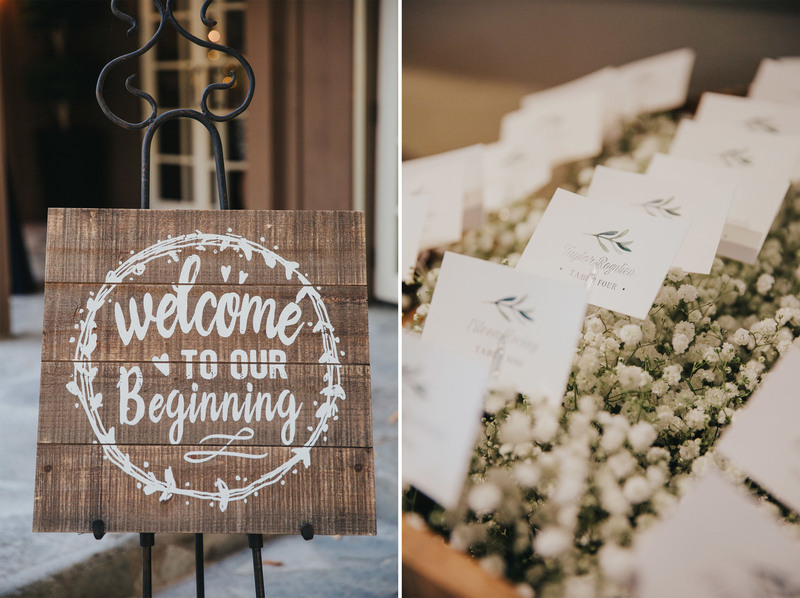 Rustic wooden signs read “Welcome to our beginning” and “Welcome to our love story” as guests are greeted inside the lodge of the Redwood Room. 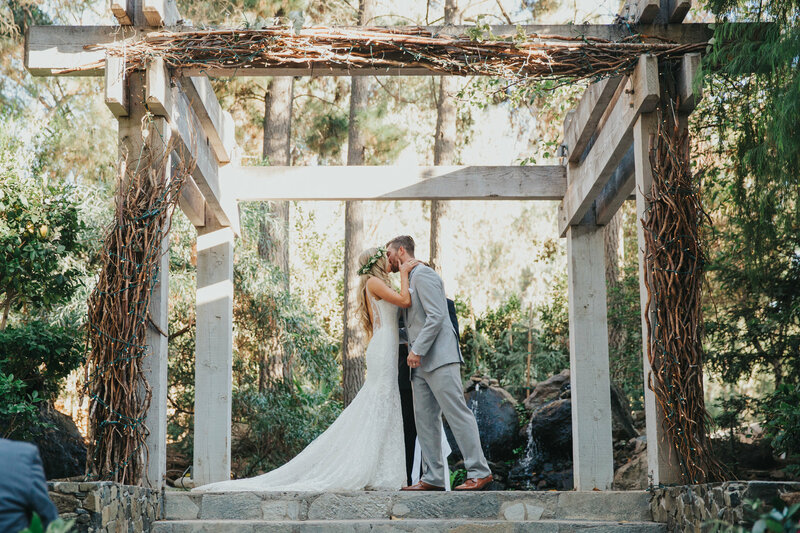 The natural stone wall fireplace is decorated with romantic candlelight creating a cozy atmosphere for friends and family to mingle. 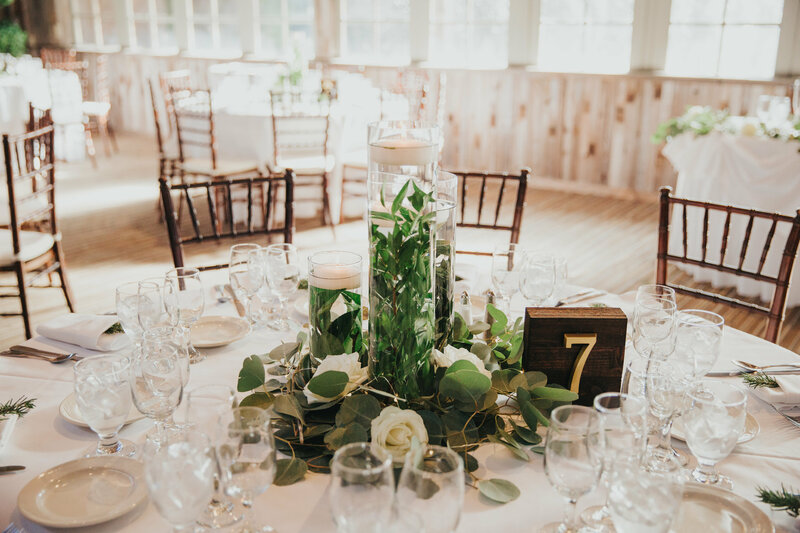 Wedding Tip Alert.. place cards were arranged in a wooden box filled with baby’s breath, which symbolize everlasting love and pureness. 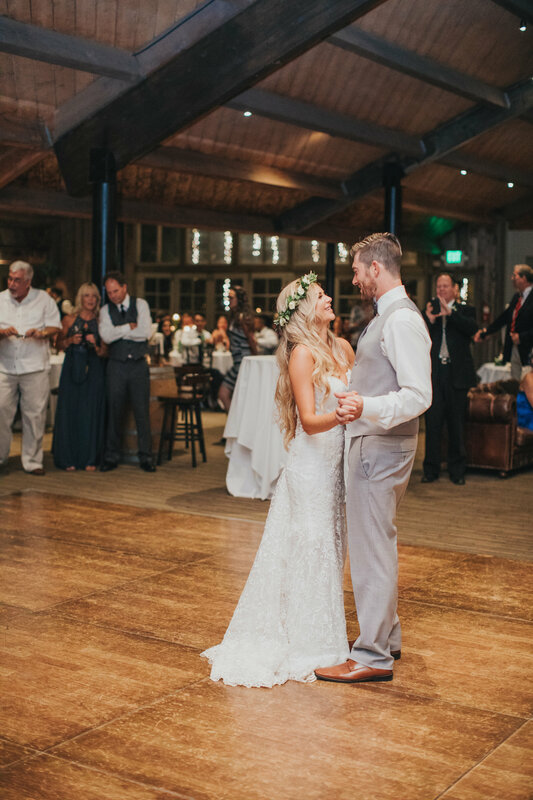 Finally, Jessica & Chris are introduced and have their first dance as the new Mr. & Mrs.! 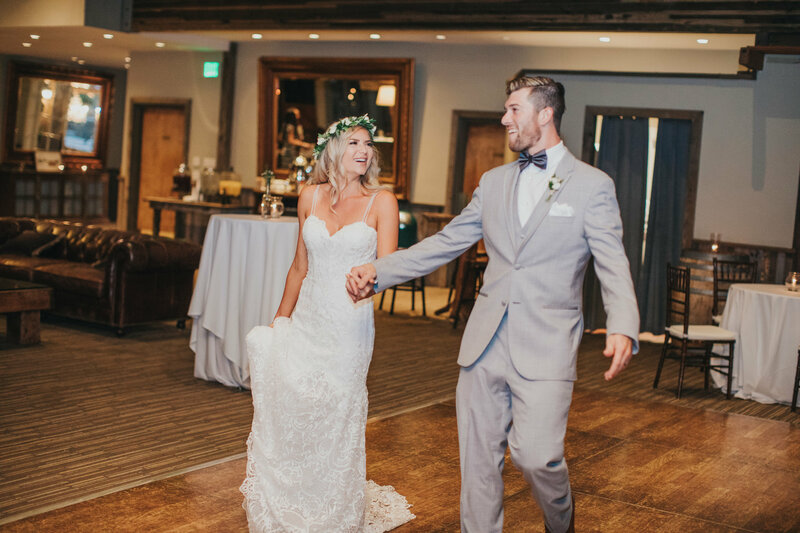 As the night continues, parent dances and speeches keep wedding traditions alive bringing tears to the eyes of their closest family and friends. 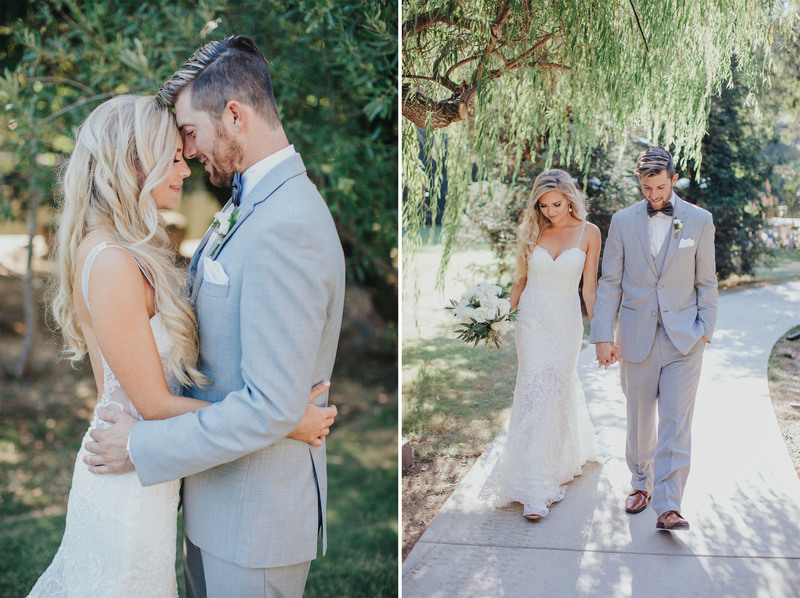 As a result, this gorgeous couples’ wedding day was one not to be forgotten! 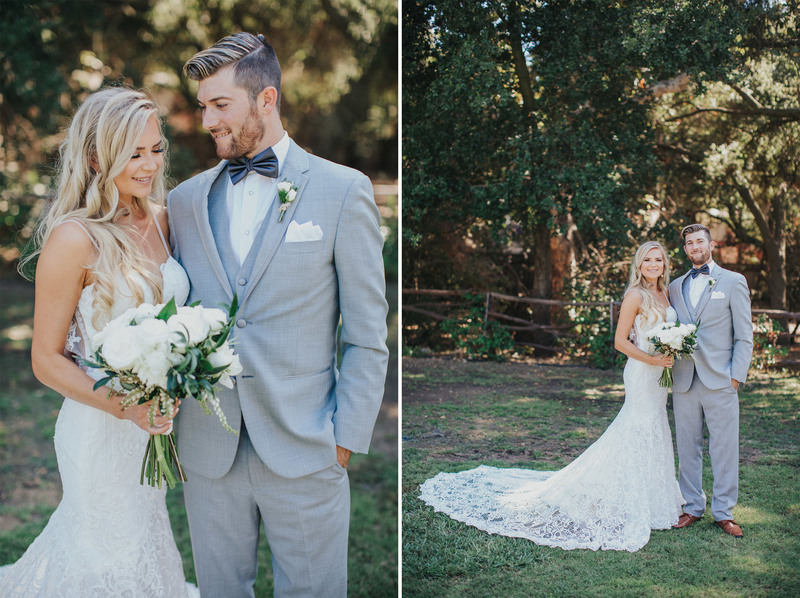 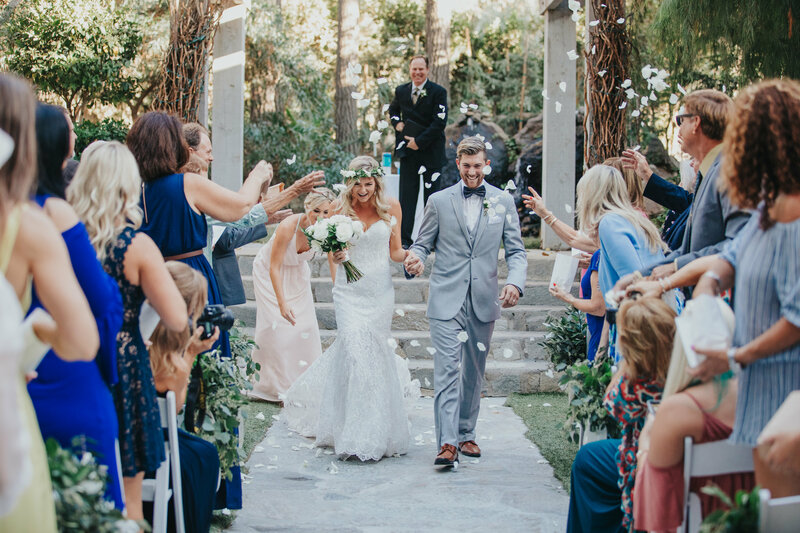 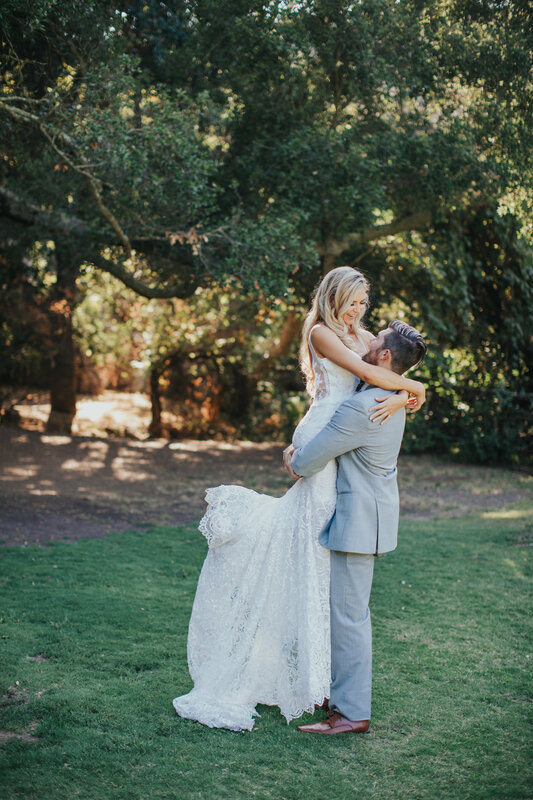 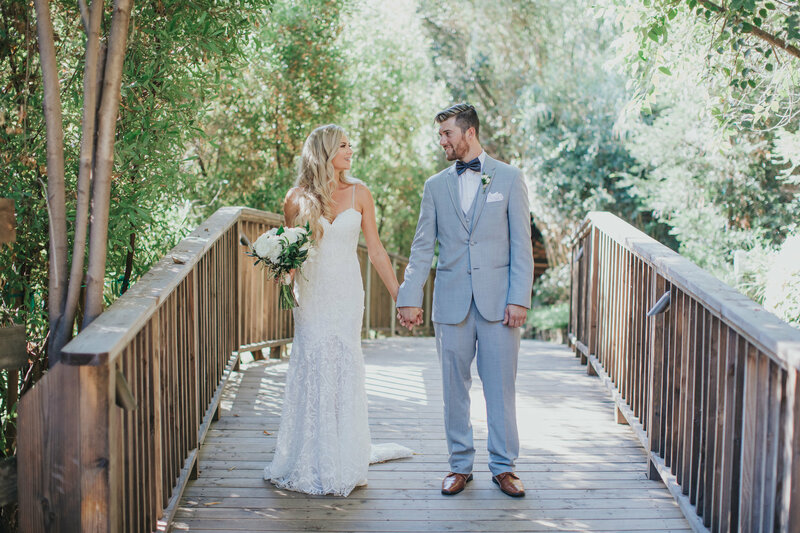 We are so excited to share this Calamigos Ranch Wedding! 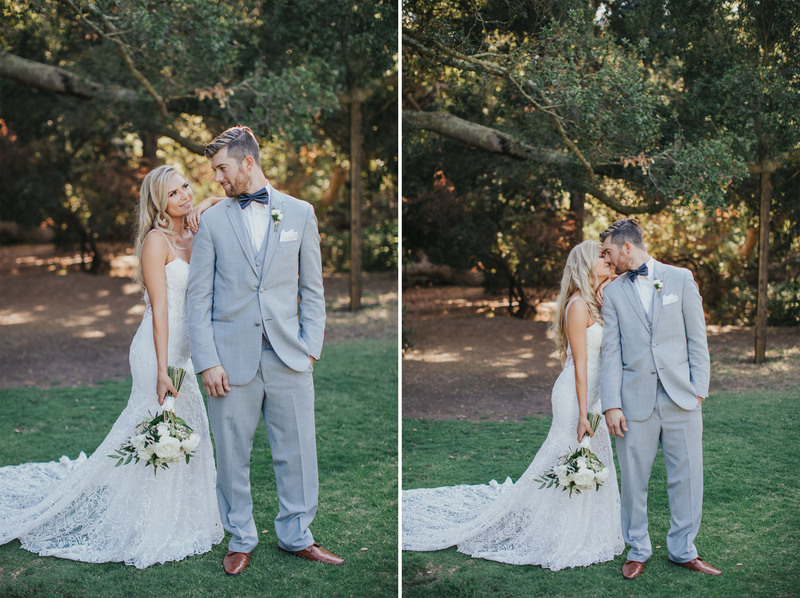 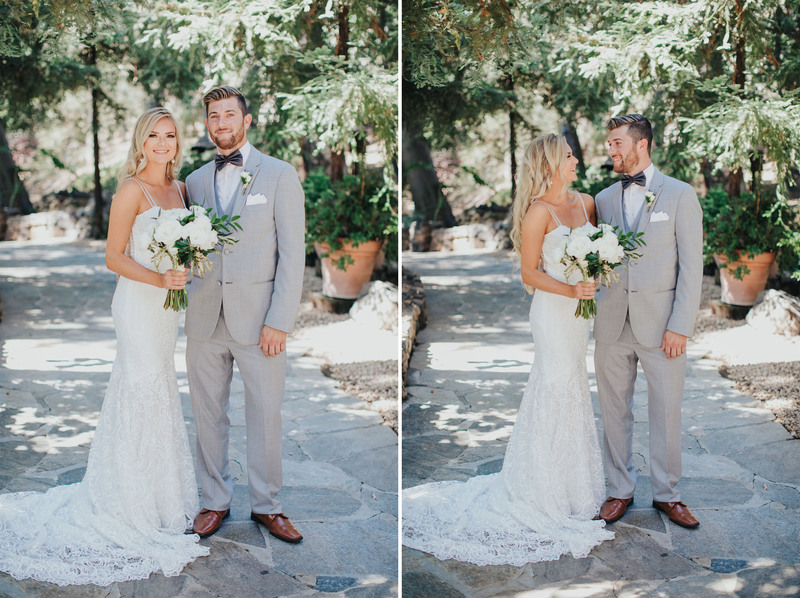 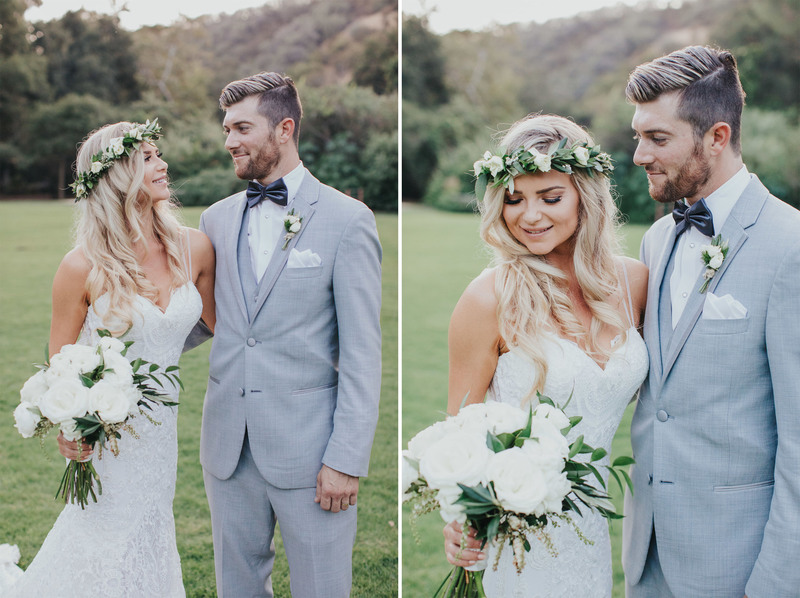 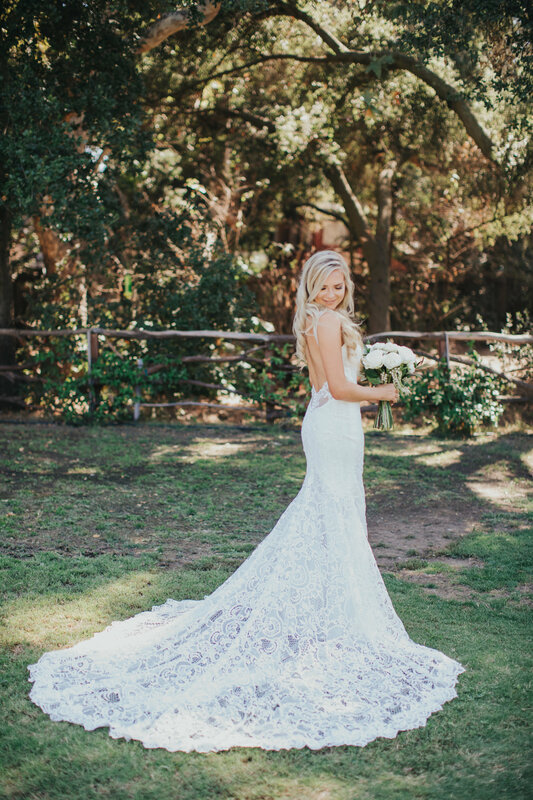 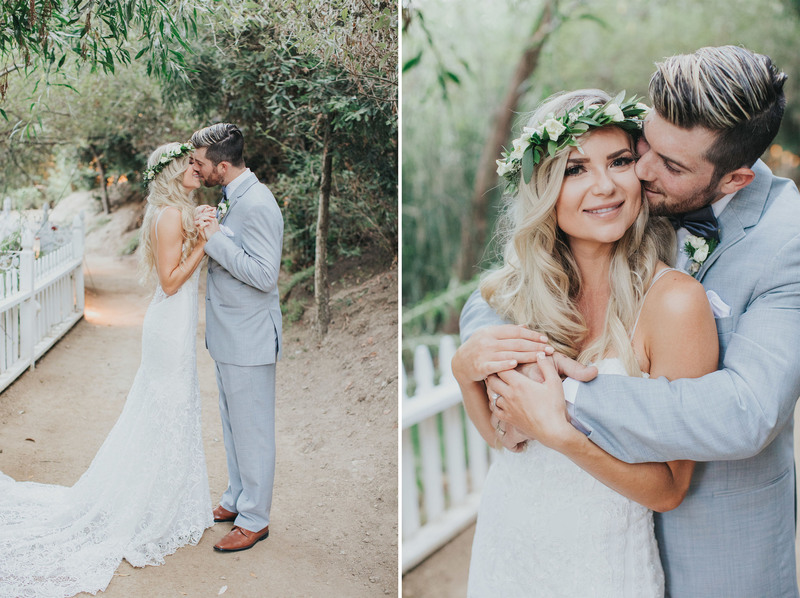 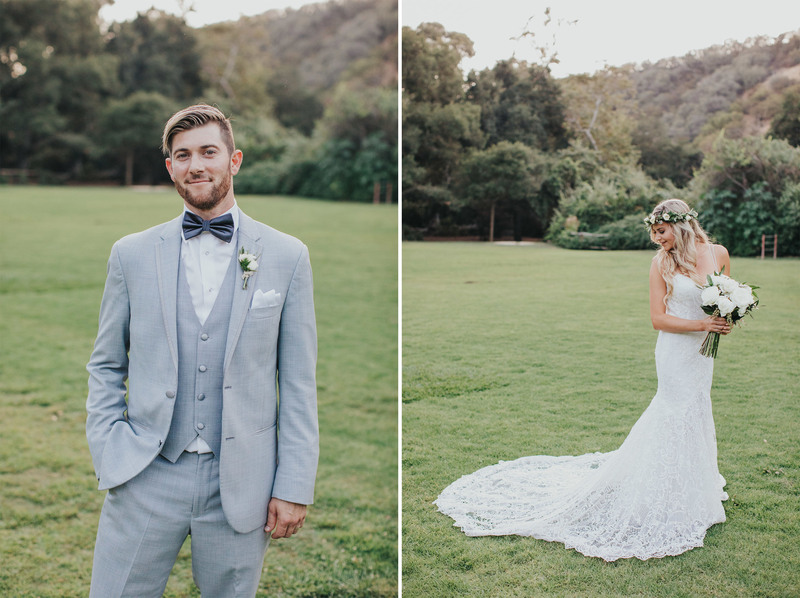 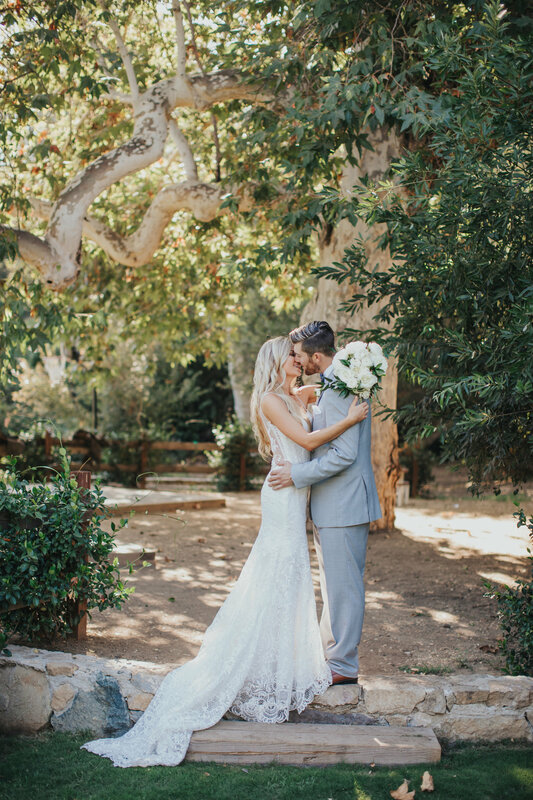 Ashley and Kevin were married at Calamigos Ranch in Malibu, California. 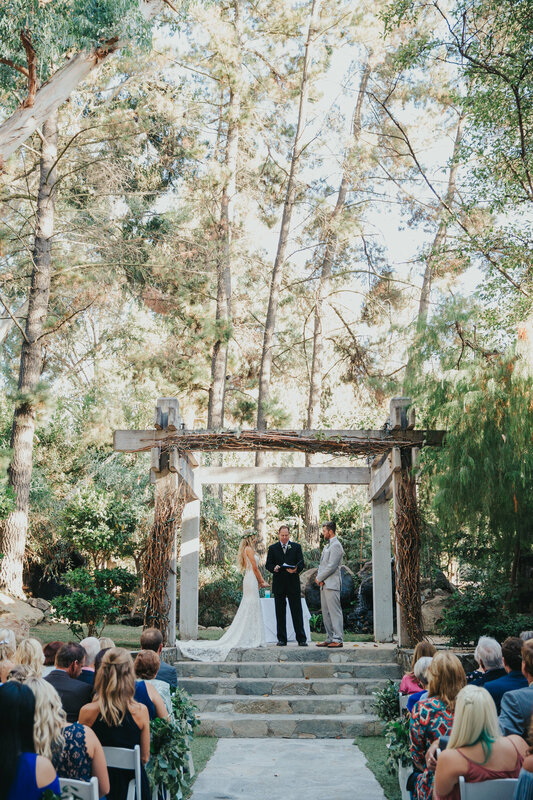 Their ceremony was held under the beautiful trees just outside The Birchwood Room. 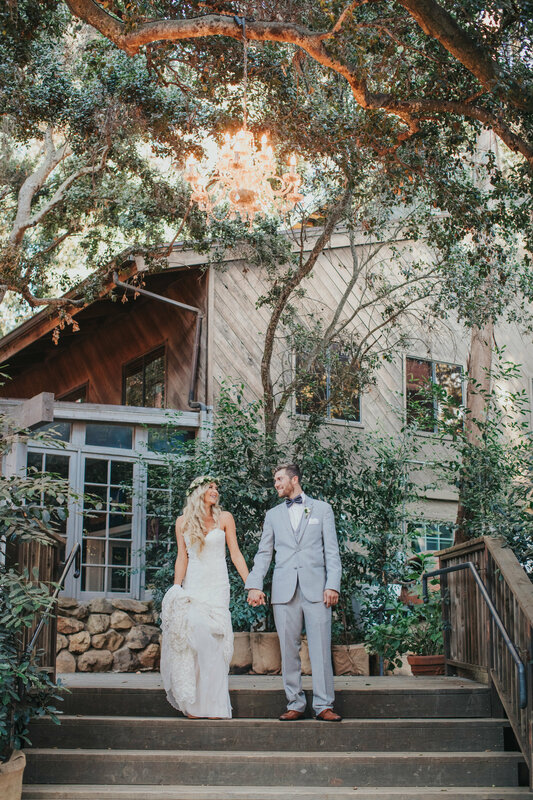 The reception followed on the patio of the Ranch House, surrounded by large oak trees. 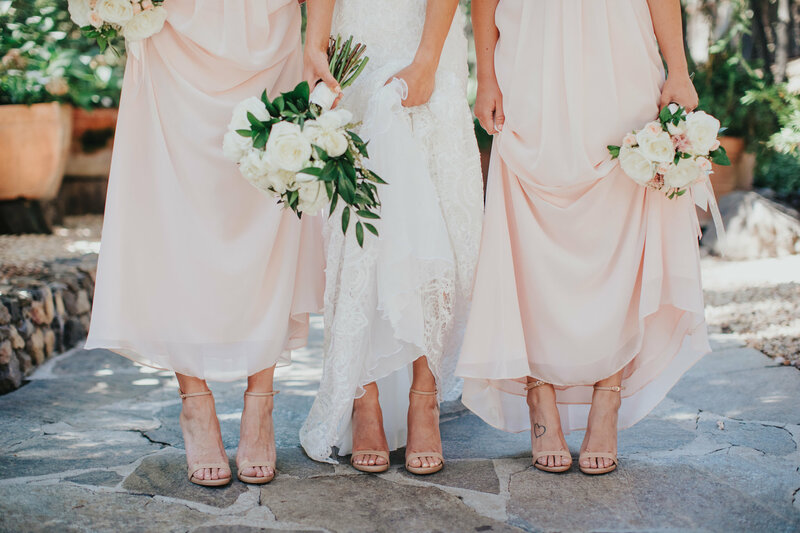 Wedding details of lace, creams and blush made for the perfect romantic outdoor wedding. 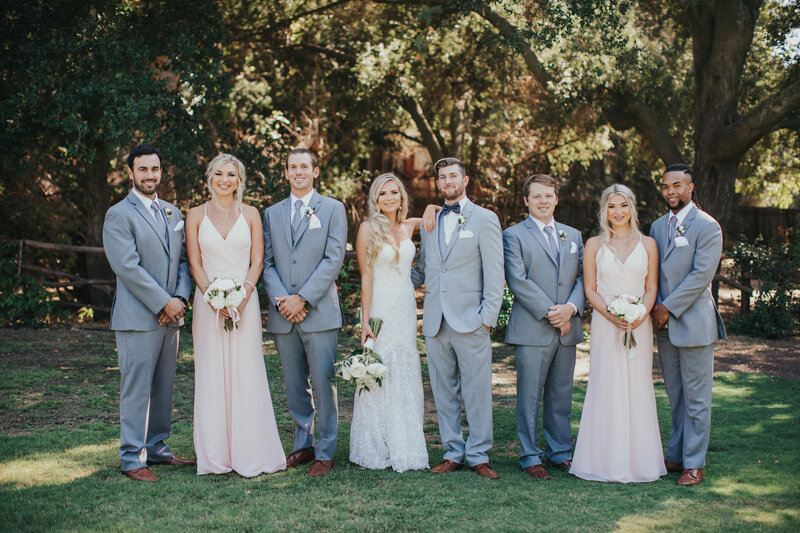 CLICK HERE for more Calamigos Ranch Wedding photos!